This procedure is indicated for patients with a dysfunction of the posterior tibial tendon, when the tendon is either stretched out beyond its functional length or when the tendon has ruptured. This is common in many acquired adult flatfoot deformity patients. Essentially, this procedure transfers the FDL tendon so that it will do most or all of the work that the posterior tibial tendon had previously done. An incision is made on the inside (medial) of the ankle joint and extended down to the midfoot. After dissecting down, the posterior tibial tendon is identified. The foot is then further dissected down to locate the FDL, which can be identified as a tendon that flexes the 2nd, 3rd, 4th, and 5th toes. The FDL is then cut and transferred into the area where the posterior tibial tendon inserts. This can be done in one of two ways: the FDL can be either wrapped around and sutured to the posterior tendon, or it can be directly fixed with a screw or suture to the bone which the posterior tibial tendon inserts (navicular tuberosity). Once the tendon is transferred, the wound is closed up. This procedure is almost invariably done in combination with other procedures, such as a medializing calcaneal osteotomy, a lateral column lengthening, or a gastrocnemius recession (Strayer Procedure). These procedures are performed in order to decrease the traction load through the area on the inside of the ankle. This loading causes the failure of the posterior tibial tendon over time and if it is not addressed the FDL tendon transfer will also fail with time. Since this procedure is generally done in combination with other procedures, the actual recovery of the tendon transfer is not the slowest healing process. 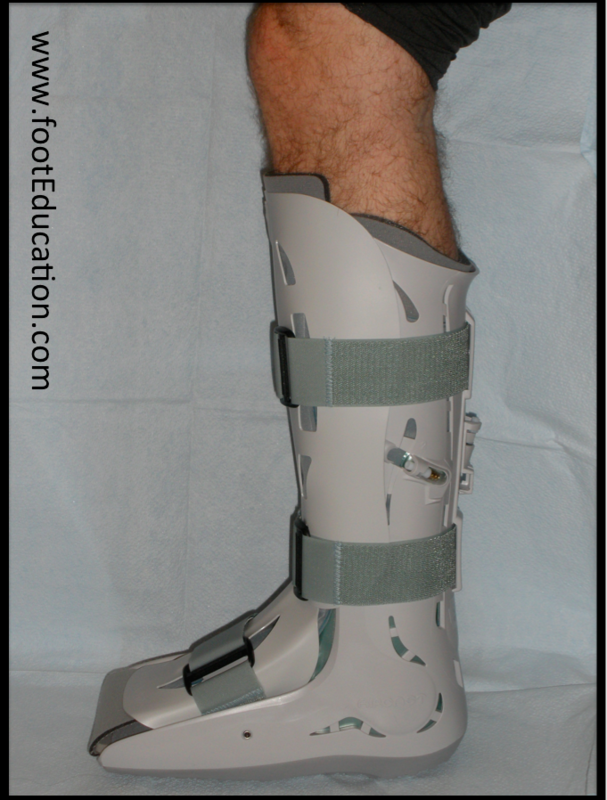 Generally the repair needs to be protected for about 6 weeks and during this time the patient is in a lower leg cast or a walker boot and is usually not allowed to put any significant weight through the foot. Crutches and a knee walker are often used to limit loading through the foot during this time. At the 6 week post-surgical mark, patients can begin firing and moving the tendon. This may include a physical therapy program and a home exercise program working on mobilizing the soft-tissues. Until about 12 months after the surgery, patients will work on re-strengthening the muscle tendon unit. However, keep in mind that the total recovery is set by other procedures that are done. Weakness in flexion of the toes: By transferring the main tendon that flexes the toes downward there may be some weakness in this motion. Fortunately, this is not rarely clinically significant. Post-surgery, the smaller muscles of the foot are now primarily responsible for flexing the 2-5 toes. Failure of tendon transfer: If the load is not taken off the area of the transferred tendon, the graft is likely to fail over time. This likeliness is the reason why other procedures are performed to take off the load.